Do you know what today is? It’s their anniversary! Today’s the day Michelle and Barack Obama celebrate 26 years of marriage and remind us that they’re the epitome of #RelationshipGoals. 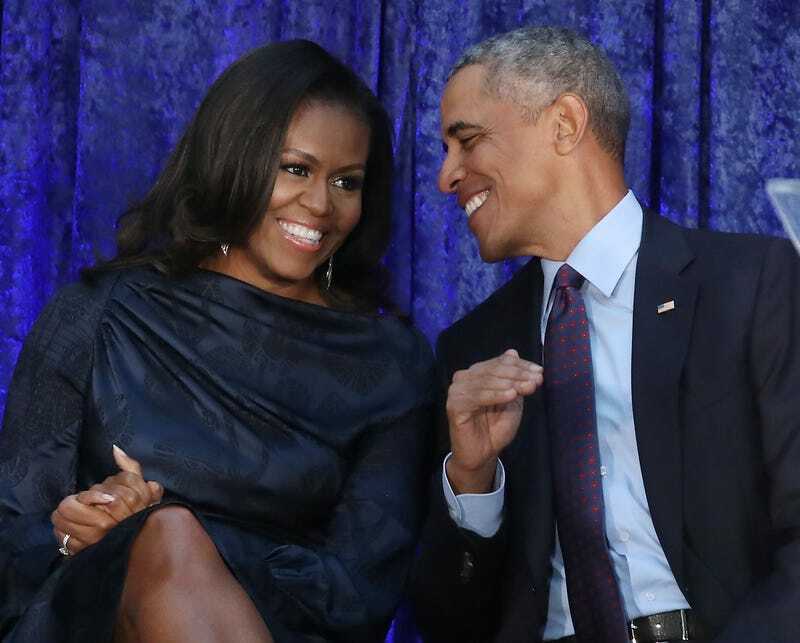 You may wear pink on Oct. 3, but on this day, the Obamas wear love and took to social media to show us how it’s really done. Each year, the couple pulls out their best captions to endorse their love for one another. Uncle Barry kicked off the public display of affection first, and he got it right by reminding his wife how much he loves and appreciates her. Michelle is from the South Side of Chicago, so it would behoove our president to get it right on the first tweet. Michelle followed up by thanking our forever president for his love, trust and for always uplifting her and their two daughters. To me, this message basically told Barack that he was lucky to have her, but that’s just my interpretation. Michelle Obama once described her husband as the most extraordinary man she knew and I’m hoping one day that place in my heart can be filled by my future partner. For now, it’s currently being occupied by a bag of plantain chips from Trader Joe’s.